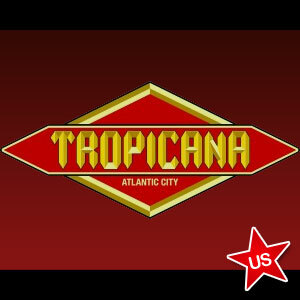 The Tropicana Casino and Resort became the fifth Atlantic City casino to be granted an online gambling license. To date, five casinos have been awarded the right to run online gambling operations. First, it was the Borgata, followed shortly thereafter by the Golden Nugget and Trump Entertainment’s two AC holdings: Trump Plaza and Trump Taj Mahal. Today, the Tropicana Casino and Resort joins them as the fifth New Jersey casino permitted to offer online gambling services. Unlike Nevada, casinos in New Jersey are slated to offer more than just online poker. New Jersey will join Delaware, set to go-live next week, as one of only two states that will provide its inhabitants with a full array of casino style table games, slots and poker. The confirmed New Jersey iGaming launch date is November 26th, although casinos are required to undergo a five day soft launch period starting on November 21st before they can launch their full-scale operations. The news was originally reported by Philly.com, and confirmed by other reputable sources on the Web. Tropicana is aligned with Gamesys Limited, a UK-based online gaming provider most well-known for its widely successful slots and casino games platform Jackpotjoy.com. Gamesys has yet to venture into the online poker arena, but earlier this year it acquired Virgin Games to help develop its in-house online poker client. In lieu of Atlantic City’s recent economic woes, the launch of Internet gambling could not come at a better time. Almost all of AC’s casinos are suffering, the Borgata being the sole exception. In September alone, revenue margins were down a staggering 13 percent from last year. Part of this had to do with Labor Day falling on the second of the month, but the primary reasons behind AC’s troubles revolve around the explosion of casinos in Pennsylvania and the unwillingness of the average New Jersey resident to spend their disposable income on gambling. There are many analysts, forecasters and government officials (Chris Christie among them) that feel Internet gaming will revitalize Atlantic City’s struggling economy, or at the very least, stopgap its decline into obscurity. Others are not quite as optimistic, arguing that residents will cease visiting Atlantic City’s brick and mortar locations. To date, seven casinos have not received a permit, including the four casinos owned by Caesars (Caesars, Bally’s, Harrah’s and the Showboat), Resorts, the Atlantic Club Casino and Revel. The latter two have not revealed their Internet gaming plans, Caesars is aligned with 888 Holdings and Resorts, which probably stands to benefit from online poker the most, is partnered up with PokerStars. All 12 casinos have applied for an iGaming license.